I have always been a huge fan of Google Docs/Drive. However, my recent obsession started when I was taking a graduate class that required my classmates and me to do a lot of group work. One of the wonderful teachers in my group suggested that we use Google Docs because we could all edit, share, and work on our documents and presentations together at the same time. Instantly, I became obsessed with the possibilities that a tool, such as Google Docs, could do for me and my students in the classroom. 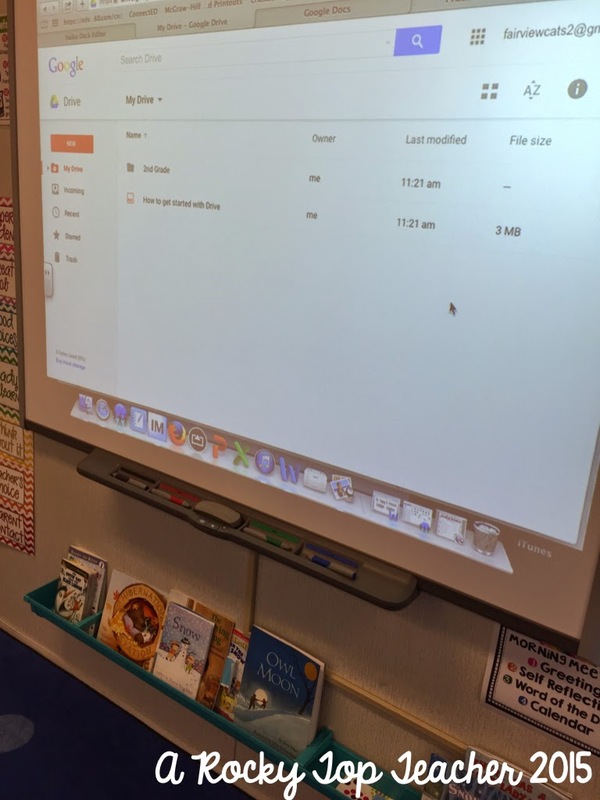 I have some big plans and dreams for what my students will be accomplishing with the help of Google Docs, but I wanted to show you how we started experimenting with the technology tool this week. This post might be a little crazy, but hopefully I can get into words how awesome this tool is! First, you need to have a Google account. I have a personal account and a blog account. I also created a class account for my kiddos to use (Next year, I plan on creating individual email accounts for my students, but a class account will work well for now!). 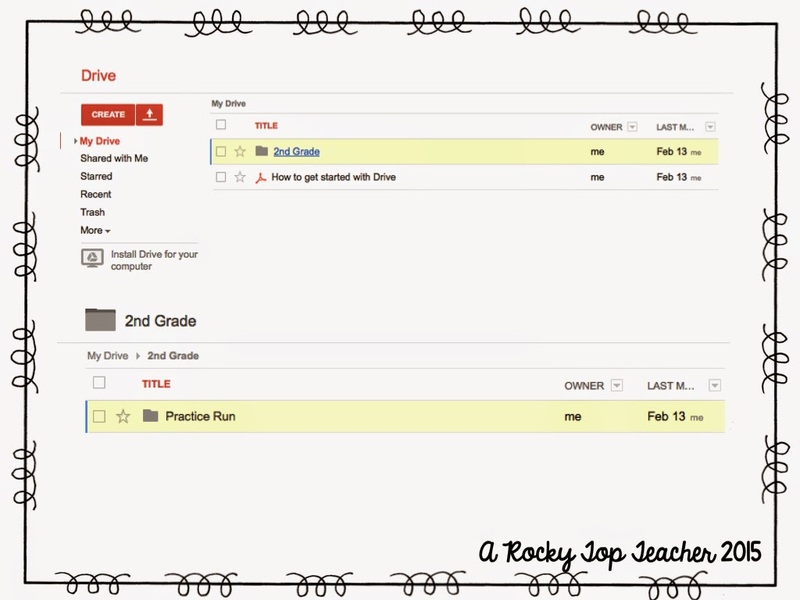 My lovely friend Aris from Sailing into Second uses Google Drive in her classroom as well and has a great tutorial that covers Google Drive basics that I highly encourage you read here. I opted for creating a classroom account for login ease at the moment. It is much easier to sign in 18 7-8 year olds who are not very familiar with long logins when the passwords and usernames are all the same! :) We went step-by-step through the login in process. It really only took us about 5 minutes to get everyone ready. The biggest trouble that my kiddos had was learning how to put the @ symbol into the email address. That was something that many of them had not had to do yet. After all the kiddos were logged in then we were finally ready to go. I love it when things are organized and my Google Drive is no exception. Prior to starting this project, I had gone in and created a 2nd grade folder. Everything that we create together will go under this folder of the remainder of the year. 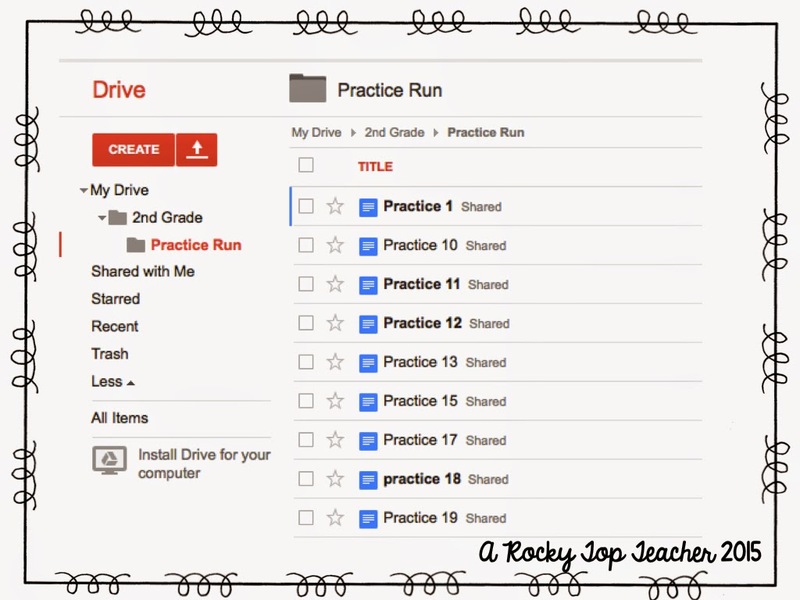 Students clicked on the 2nd Grade Folder which led them to another folder called "Practice Run". Students clicked on that and were greeted with a page that had 20 documents all labeled "Practice #". They knew to find their class number and click on that document. Their first task (since it was our first attempt at using this in the classroom) was to answer 3 questions in COMPLETE sentences. 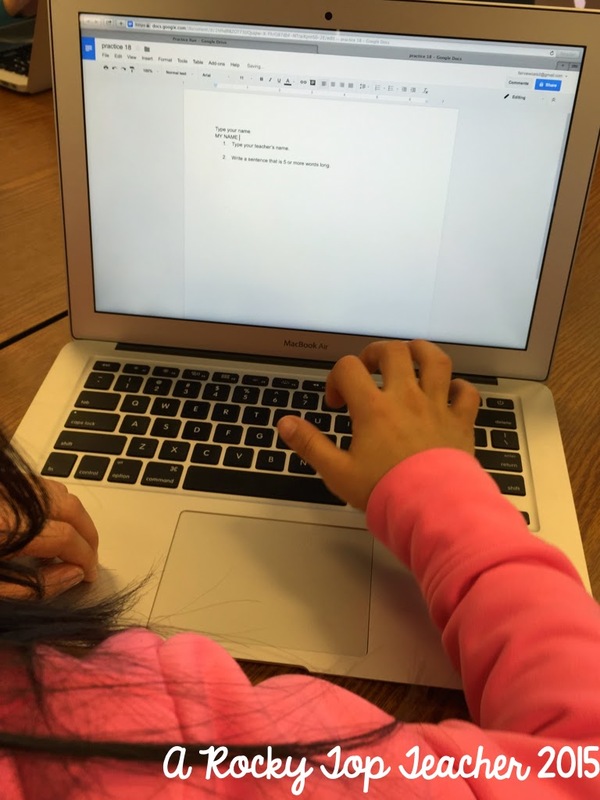 We had a small mini-lesson discussing the relationships between writing and typing, and the students did a great job brainstorming important things that they knew they would need to remember to do when typing (capital letters, punctuation, etc.). My favorite part about the whole experiment was that I was able to provide academic feedback and support easily and quickly with my students thanks to the Google Doc editing tool. I shared all of their documents with my blogging account so that I could go in and comment on their documents. I showed students what it would look like if I left feedback on their document, discussed how the comments I would leave would either be asking them to take a closer look at something and/or complimenting them on things that they had done well. They learned how to resolve comments and respond back to me if they wanted to say something or ask me a question about the feedback they I had left. For a teacher who is serious about providing students with academic feedback(both written and verbal) as much as possible; I was in teacher heaven thanks to the editing tool with Google Docs. 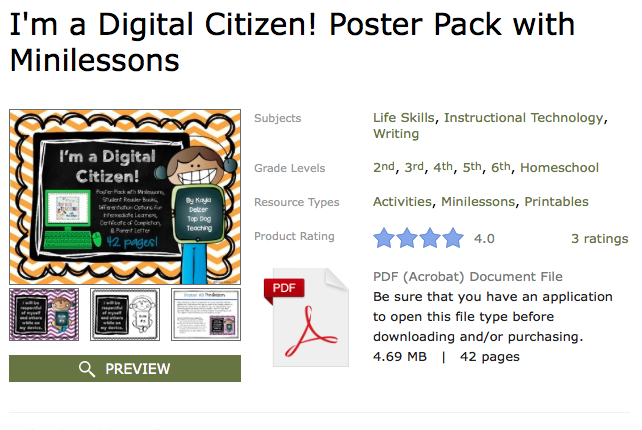 I had a techie teacher moment when I was able to say "#5, I am about to head to your document and leave you feedback." I love the example above. The student had written the following- Today at lunch we had pizza. And we had free ice cream. All I had to do was highlight where I wanted her to look at, and I left her a quick comment asking her to rethink what she had written. The student was able to apply critical thinking skills and activate prior knowledge to fix the sentence. All in all, I think that using Google Docs in the classroom is going to be a smashing success. I was able to challenge and support all of my students. The students really blew me away with how well they did. I know that we are going to be able to create some amazing student-led and student created projects in the weeks and months ahead thanks to this amazing tech tool. Next week, my students will be learning about our "digital footprints" and internet safety thanks to Kayla over at Top Dog Teaching . We already research and use technology a lot, but I want to make sure that we are doing it correctly and understanding the importance of respecting the digital footprints that we create when using the internet. Kayla's tool will be a great foundation for us to build off of. Be sure to check back in this next week to see how it went! I can't wait to share with you how amazing her unit is! THANK YOU so much for the shout out. I truly believe in my product and I know that it is high quality. 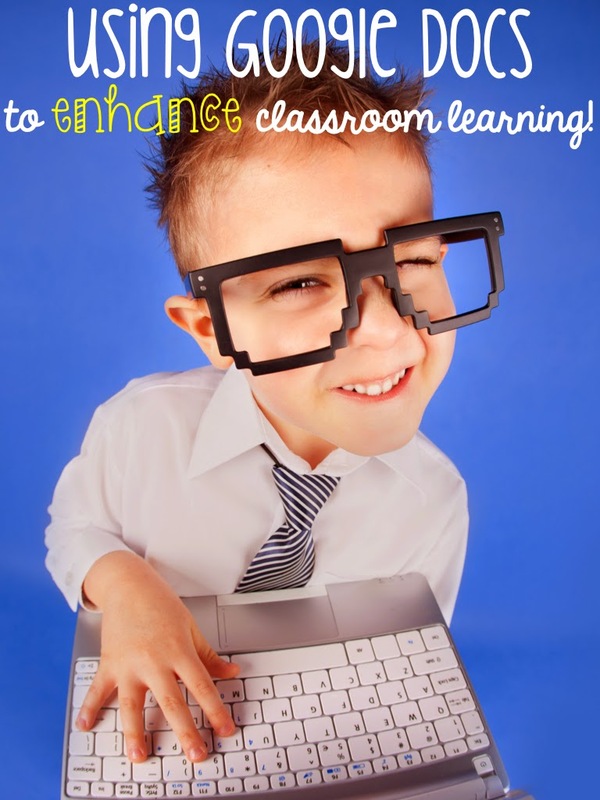 I can't wait to hear how it goes with your students, and I am tickled pink that you will be blogging about it! I can't wait to meet you this weekend!!! 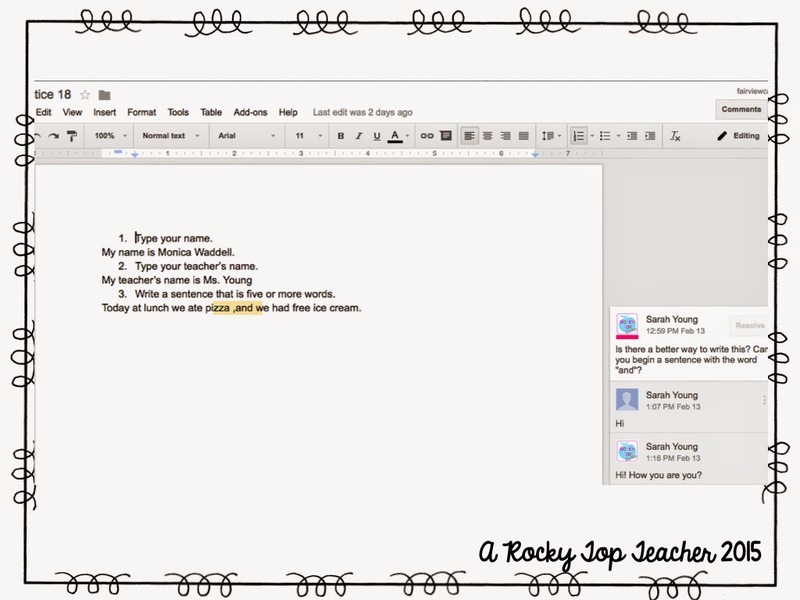 Love this post on Google Docs too!!! Way to go girlfriend! I LOVE this!! I wish we had more technology so that way I could use this!! I am hoping that I will be able to incorporate it more next year!! Great job Sarah! !